Since quitting my day job on July 1st, I've received a lot of questions about how it feels, what it's like. Most of the questions relate to the quitting and the dayjob: What's it like to not go to work? Is it hard to stay motivated without a boss? Do you miss having coworkers? But these questions are hard to answer. My life is so different now, I find it impossible to compare dayjob to yarn-job. This whole big scary experiment doesn't feel like a quitting as much as a launching. A launching into a new way of thinking about work. A launching into a new way of connecting, of being a part of my community. A launching into more responsibility, more discipline than ever. A launching into a very unknown future. A launching into doing what I love, without excuses, without somedays, without anything (but myself) to stop me. Like a big space rocket launch, it's exhilarating and terrifying and filled a thousand movable parts that look like they might fall apart at any time. I realized this week that although I told everyone I quit my dayjob and I immediately devoted myself full-time to Blonde Chicken Boutique, I didn't take the to celebrate. Or to ask you to celebrate with me. This is a big momentous thing that needs proper yarny revelry. I've pondered the best way to make it a real celebration and I've come up with a Grand Launching Week-long Extravaganza! 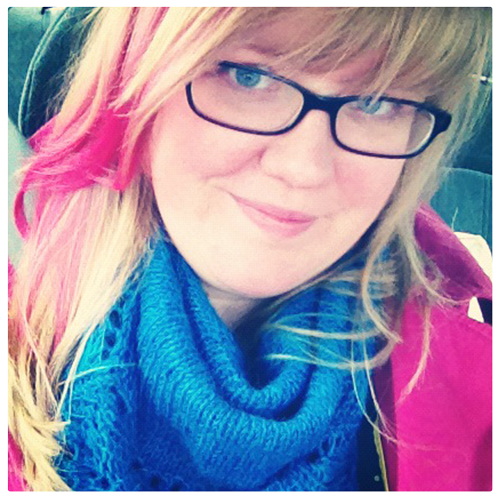 Everyday next week, I'll share my story, from French Major to Yarn Wrangler, here on the blog. Be sure to subscribe so you don't miss any of it. I'll also be answering your questions, everyday at 3 pm on Twitter (starting today!). We can talk about any little thing (quitting the job, wrangling yarn, studying French Lit, ANYthing!). Just put #askthechicken in your tweet to ask me. For the next week, any NEW customer of the Boutique will get $10 off orders of $30 or more and returning customers will be get $5 off orders of $25 or more. Really want to party? Buy more than $100 worth of yarn or fiber and I'll send you a skein of yarn (or bump of fiber – your choice!) and a pattern for FREE in August. Think of it as investing in your future! Not a yarn-y person? This sale ALSO extends to the Gift Certificates! I wouldn't be launching into this new life if weren't for you. Whether you buy yarn or not, whether you comment or not, whether we've met or not, everyone who shows up here has helped bring me closer to this goal, has helped encourage me and teach me and inspire me. brilliant. you're brilliant! 🙂 best of luck to you, tara. Yay!!!!!!!!!! I'm super excited for you! It's so exciting, and I'm so glad you just kept at it and made it happen. So many people talk and talk about doing it, but you did it. I suspect you're going to absolutely love it. how exciting!!!!! can't wait to party with you! Wow Tara. When you say Celebrate, you C E L E B R A T E!!!! Congratulations again, this is going to be great! This is so exciting! Working for yourself is hard. But you get to pick which 80 hours you work. Lol! Hope you enjoy it, and wishing you great success. You're so talented and generous with your gifts – you're sure to do great. Wow. It's all here. The party. The “hi – I'm over here now”. The “you folks are great, and I want to thank you”. The plan. Congrats and confetti — and cake, of course. I am profoundly happy for you, Tara! *dance and squee* Yayayayayayay! Good for you; once you get off the boat, it's difficult to return. I've been out of a corporate job for more than twenty years and LOVE my life! Thanks for always encouraging me and being there through it all! I love that you see this as a whole new beginning and that negative ideas such as “quitting” don't even appear in your vocabulary set! Woo hoo!! !